High-level officials of South Korea and the Democratic People's Republic of Korea (DPRK) started talks at the border village of Panmunjom on Friday, Seoul's unification ministry said. The senior-level dialogue kicked off at about 10 a.m. local time (0100 GMT) at the Peace House, a South Korean building in Panmunjom. Unification Minister Cho Myoung-gyon headed the five-member South Korean delegation, comprised of officials in charge of railway, sports and inter-Korean cooperation. The DPRK delegation was led by Ri Son Gwon, a chairman of the Committee for the Peaceful Reunification of the Fatherland. Before heading to Panmunjom, Cho told local reporters that he would make efforts to discuss with the DPRK side the implementation of agreements, reached by the leaders of the two Koreas, and the creation of positive conditions for the DPRK-U.S. summit. South Korean President Moon Jae-in and top DPRK leader Kim Jong Un signed the Panmunjom Declaration after their first summit in Panmunjom on April 27. They held a surprise second meeting in Panmunjom on May 26, discussing the DPRK-U.S. summit originally scheduled for June 12 in Singapore. 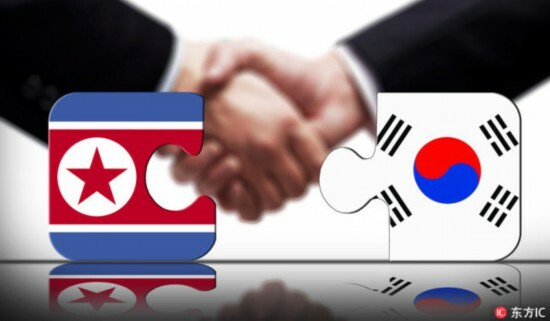 Under the Panmunjom Declaration, the two Koreas agreed to connect and modernize railways and roads in the east transport corridor between Seoul and the DPRK's northwestern city of Sinuiju. The two sides agreed to encourage exchanges, cooperation, visits and contacts at all levels to raise the sense of national reconciliation and unity. To resolve humanitarian issues, Seoul and Pyongyang will hold a reunion of families separated across the inter-Korean border around the Aug. 15 Liberation Day, a date to celebrate the Korean Peninsula's liberation from the 1910-45 Japanese colonial rule. Cho said issues to be discussed for the high-level talks with the DPRK side would be the agendas for Red-Cross talks on the reunion of separated families following the 1950-1953 Korean War, the general-level dialogue on military affairs and the establishment of liaison office of the two Koreas in the DPRK's border town of Kaesong.